Audi yesterday launched its most secure sedan in India at the Auto Expo starting at Rs 9.15 crore (ex-showroom, Delhi). 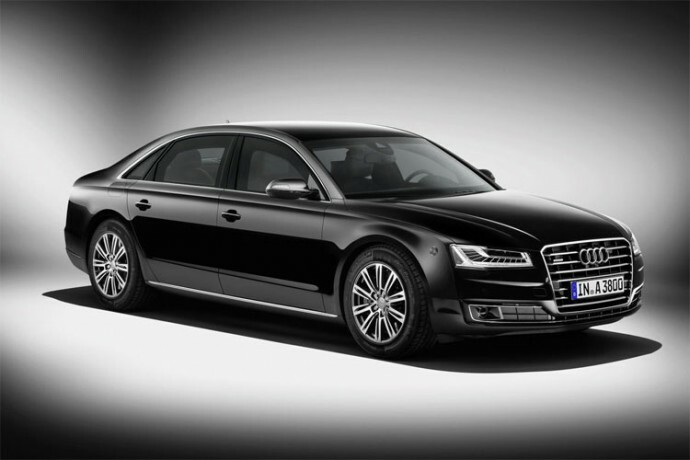 The A8 L Security sedan has been dubbed “the most secure Audi ever”. According to Audi India, the A8 L Security meets the criteria of the class VR 9 ballistic protection standard, the requirement for civilian high-security sedans. What makes it so highly secure? The car comes with a bunch of security features such as armoured communication box in luggage compartment, selective door unlocking, fire extinguishing system and emergency fresh air system, among others. The Audi A8 L Security is powered by a 500 bhp W12 engine which will electronically limits top speed to 210 kmph. It’s seen with run flat tyres, ultra thickened glass and aramid fabrics. The car also comes with high aluminium content in the body that keeps the vehicle’s weight relatively low. The vehicle also features emergency exit system, a technology for which Audi holds a patent as well as a fire extinguishing system, which is activated at the press of a button or by heat sensor.